I am going to try to avoid reviewing places I have only been to once because it doesn't seem fair to review someplace based on one visit. That being said, I have been to the Penalty Box in the Cornerstone Arena several times, and I have never been disappointed. From their chicken wings to their entrees, this place does it right in every sense of the word. The service at the Penalty Box is quick, friendly, and attentive. Depending on when you go there, you will get either a server or the bartender will come to your table to serve you. I have to admit, I was more than pleasantly surprised at how attentive the servers and bartender were to details. I was checked on often enough, and I noticed how smoothly the servers handled even the most troublesome of customers. The overall ambiance of the Penalty Box is very easy going, which makes for an enjoyable meal. I have not had every menu item from the Penalty Box, but I am going to tell you that if you don't have the burger called the Ditka, you are definitely missing out. The burger itself is 3/4 of an inch thick, and the BBQ sauce on it is amazing. The wings are also excellent, and I can admit that I sampled more than enough to give an honest assessment. Other finger foods such as the fries are also very tasty and not coated in that salty covering that other restaurants seem to like to do these days. The prices are reasonable at the Penalty Box, and the staff never makes you feel like they are too busy for you. Overall, I have had nothing but good experiences in every way when it comes to the Penalty Box, and I would recommend it to anyone. 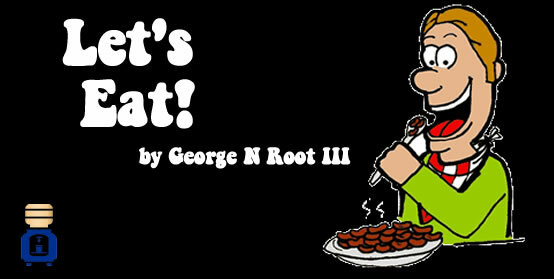 George N Root III loves to eat, and that is obvious when you meet him. Follow him on Twitter @georgenroot3, or send him a message at georgenroot3@gmail.com.